Since 1947 World Services for the Blind (WSB) has been helping blind and visually impaired people develop life skills to make independence a possibility. Located in Little Rock, WSB is invaluable in helping the blind community of Arkansas. It’s not just the people of Arkansas that WSB has helped since its founding WSB has helped over 13,000 people from all 50 states and 58 countries. WSB is a comprehensive rehabilitation center for people who are blind or visually impaired. As a part of that WSB works to teach life skills that encompass so much that most may not think about from learning braille, to mobility, to IT fundamentals. Career training is also an area the WSB helps. In career training technology is embraced as training ranges from hands-on, high-tech training to become an IT specialist, to an in-depth study of the Microsoft Office suite of products to earn certifications essential for today’s workplace, and many other jobs. The WSB also has programs for youth and the elderly. They work with youth in job, college, and ACT prep and help those elderly beginning to lose their vision and adapting to a new way of life. World Services for the Blind is an incredible organization helping those in Arkansas and the world for over 70 years. 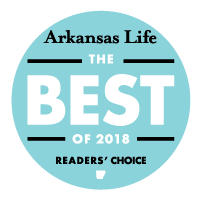 For that and the great work they do they are an obvious fit for the Spirit of Arkansas Award.